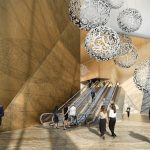 Just yesterday Hudson Yards announced that it would officially open on March 15th, and when visitors first visit the mega-development, they’ll now have even more art to peruse. 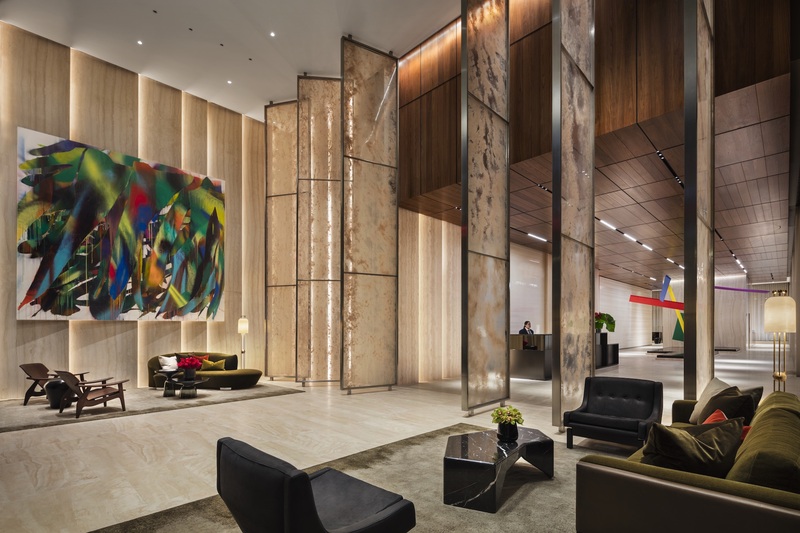 According to a press release from developer Related, the complex has unveiled large-scale contemporary art installations by three renowned artists–Jaume Plensa, Frank Stella, and Joel Shapiro. “I have always been passionate about the impact art, sculpture and design can have on our lives – the memorable experiences they create and the warmth they bring to the places we live and visit,” said Related chairman Stephen Ross. Frank Stella, perhaps best known among the group, started his career in the ’50s primarily as a painter, but beginning in the ’90s, he got into large-scale sculptures for public spaces and architectural developments. 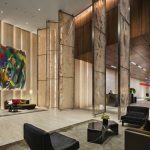 His latest endeavor is two “abstract structural sculptures” in the lobby of 50 Hudson Yards, the Norman Foster-designed tower that has the title of the city’s most expensive office building. Here, he used digital modeling to “explore how subtle changes in scale, texture, color, and material can affect our experience of an object.” These unnamed works are made of painted steel, aluminum, and fiberglass. 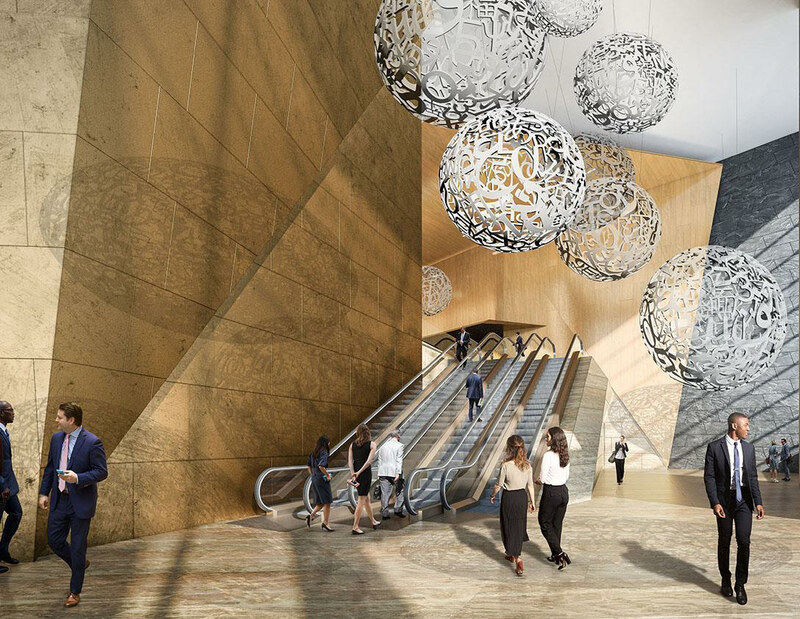 Hudson Yards is a truly unique experience because it gives artists the ability to design monumental pieces for millions of New Yorkers and visitors to enjoy every day. 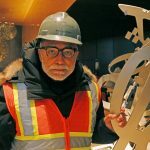 The sculptures I’ve created for this new neighborhood will greet everyone coming to Manhattan’s West Side from the No. 7 Subway station, and will welcome the employees of 50 Hudson Yards to their building every day. 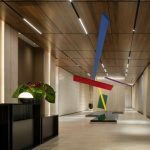 It was especially exciting to work at Hudson Yards because they share my enthusiasm for commissioning site-specific works to be shared in public spaces for the world to see. Over at 15 Hudson Yards–the development’s first residential building, designed by Diller Scofidio + Renfro in collaboration with Rockwell Group–minimalist sculptor Joel Shapiro created a suspended series of painted wooden pieces, “exploring the projection of thought into space without the constraint of architecture.” To date, Shapiro has been commissioned for more than 30 public sculptures around the world and has been the subject of more than 160 international exhibitions and retrospectives. 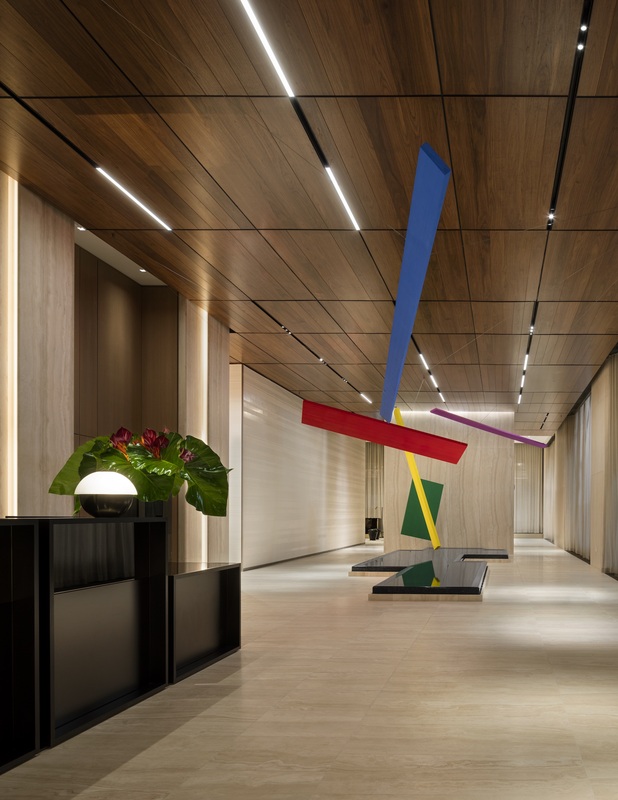 After seeing 15 Hudson Yards, I knew that the space called for a celebratory and playful arrangement of color and form that would endlessly reconfigure as one moved in and through the space; a certain sense of spontaneity and surprise. 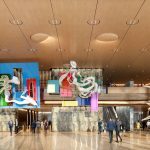 Playing off of the elegance and refinement of materials in the lobby, I built a structure with five elements with infinite points of view that I hope is totally exciting and effervescent. 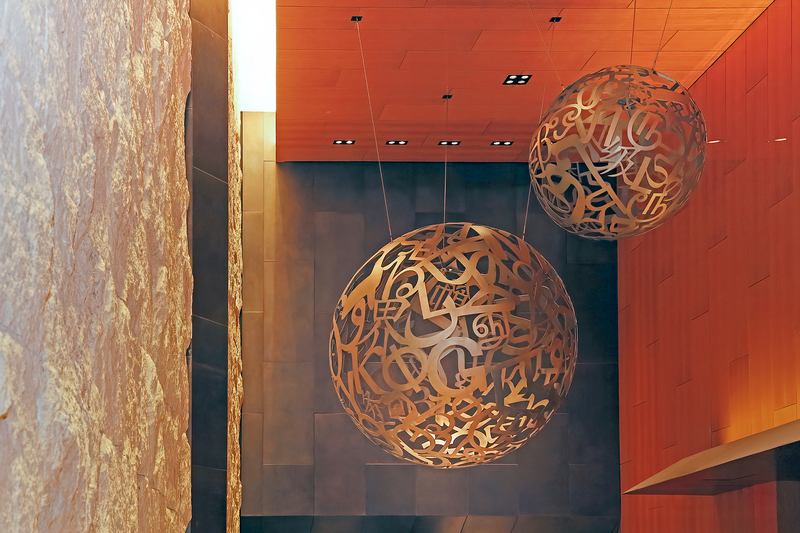 And in the lobby of 30 Hudson Yards–the 90-story, Kohn Pedersen Fox-designed commercial and retail tower that has the distinction of being NYC’s second-tallest office building–Spanish artist Jaume Plensa created “Voices.” Known for his works that play on space and volume, Plensa’s work consists of 11 variously sized steel orbs, his largest suspended piece to date. 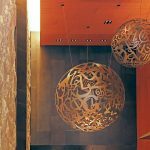 “Weighing between 400 and 5,000 pounds, the sandblasted steel spheres appear to float above the monumental space, sparking a dialogue on a sense of global unity and appreciation for different languages and cultures,” according to the press release. Public spaces have been essential to my work for many years, because they have this tremendous capacity to connect people not only with art, but also with the great architecture that surrounds it, and with one another. When Stephen Ross asked me to create a new, large-scale sculpture for the lobby of 30 Hudson Yards, I said yes immediately. The eleven spheres that make up Voices are composed of letters from eight different alphabets, to inspire people with the idea that while we come from many places and many cultures, we are here as one community. 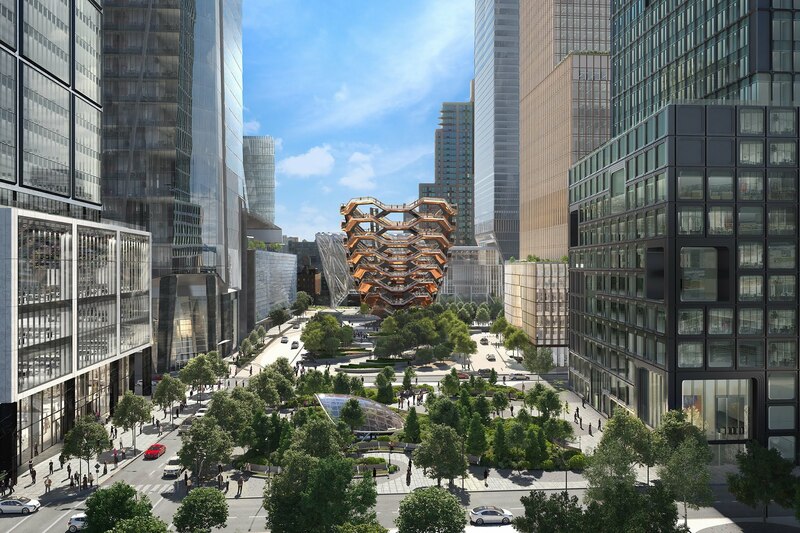 The contemporary art program at Hudson Yards complements the neighborhood’s public art centerpiece, Thomas Heatherwick’s “Vessel,” a 150-foot-tall, honeycomb-shaped, climbable installation. 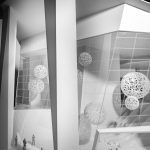 In addition, arts center The Shed will host a variety of contemporary art exhibitions and performance art, and Snark Park, a permanent exhibition space for immersive installations.